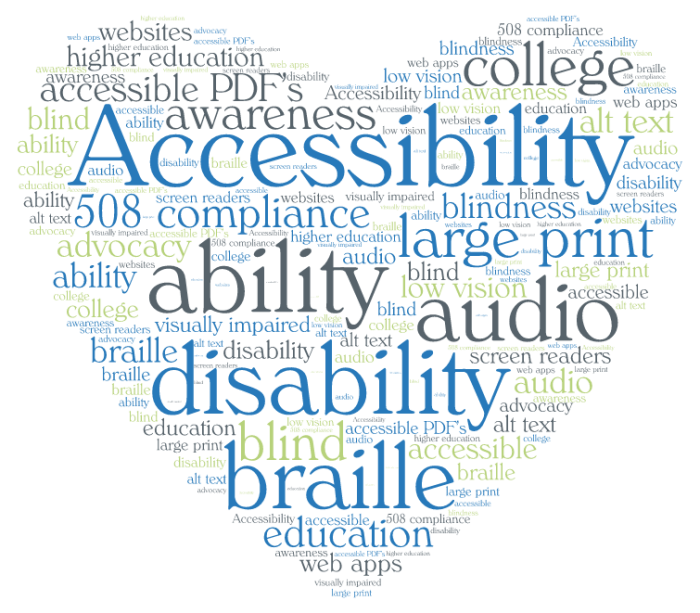 Section 508 Compliance/Accessibility: Accessibility is everyone's responsibility! Dalton State is committed to making our entire campus 508 compliant and accessible. Resources - Webinars and such! Section 508 is pertinent to Dalton State so individuals with disabilities who are members of the campus, and the public, seeking learning, information, and/or services from a Federal department or agency have accessible access to that learning, information, and/or services. That the data is as accessible in its delivery to its individuals with disabilities as it is to its members who are not individuals with disabilities. That we abide by the law. Section 508 (of the Rehabilitation Act of 1973) regards electronic and information technology. Upon development, procurement, maintenance, or use of electronic and information technology, each Federal department or agency shall ensure that their technology is accessible to employees and members of the public with disabilities to the extent it does not pose an "undue burden." Section 508 is mandatory when dispersing information via computers, software, and electronic office equipment to these entities. It applies to, but is not solely focused on, Federal pages on the Internet or the World Wide Web. .
Additional information re the campus, accessibility, and the law. Alt (Alternative) Text on all images used in any form of electronic media - documents, website, emails, etc.